Do you like to travel, but you have a problem to communicate? Holiday, traveling, business trip or business meeting abroad… It’s always a change and excitement from traveling, from something new. Then we absorb thousands of information around us, we have a mission, we want to stay informed, to have an overview and also be cool and enjoy and, of course, we need to be well oriented in the new environment… And then, as first we need to communicate with people all over the the world wherever we are! Well, if you know at least the 10 most used languages of the world, that’s okay… But if you speak only with one or two languages, and you are in a place where you can not communicate even with the language which you know, or simply you do not know to speak any language and you know only native language, then you have the problem to communicate. And we have a unique solution for you And we have a unique solution for you – pocket voice translator LANGIE ! And it’s not just an English translation of sentences! This amazing thing is simply indispensable for each enthusiast of travel. It is so perfect, just imagine. Wherever you go in the world, you’ll talk with this device everywhere! 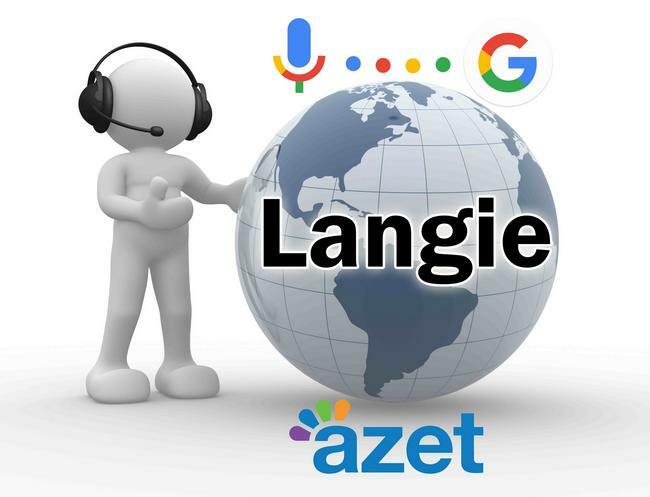 Translator LANGIE translates in 52 languages of the world, simply and fluently. For example, traveling for a vacation, the whole family is going… The rush at home, are we all packed? The rush in the car, are we all here? And we’re at the airport, boarding the plane, laughing and having fun during a flight, are we already there? The excitement of the arrival, just must find the luggage in the airport hall, we go out and hurray, we’re here! Okay, and now what? Let’s go to the hotel. Taxi, train, bus, how are we going? There’s a taxi, let’s usk a driver how to get there. Father, mother? Do you know Chinese language? Or can anybody of us speak Chinese? Mum is looking for a dictionary in a suitcase. Father looks at his cellphone, we have a 21st century of course! it is enough to open an online translator. But it all takes a long time, until you unlock your mobile while you turn on the app and you’re getting nervous. You can avoid this, just you need to have a voice translator LANGIE in your pocket. This small device is a miracle! And with such easy operation! 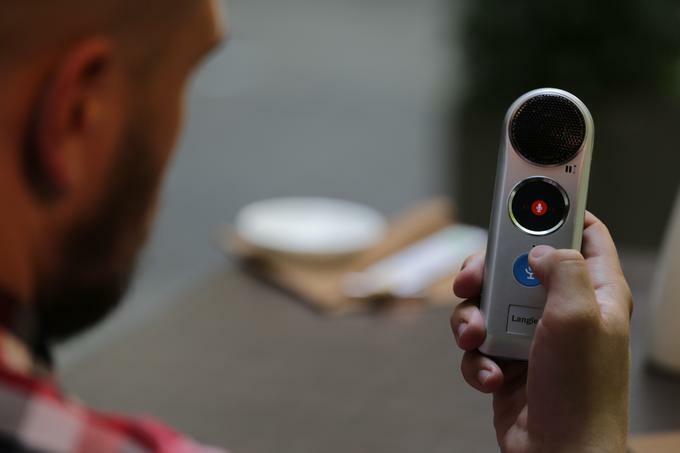 Simply press a button, say what you need to translate in your language, and the device instantly translates your language into a foreign language. Awesome! And what if the person responds in a foreign language to my question? That you can not understand him? No problem! 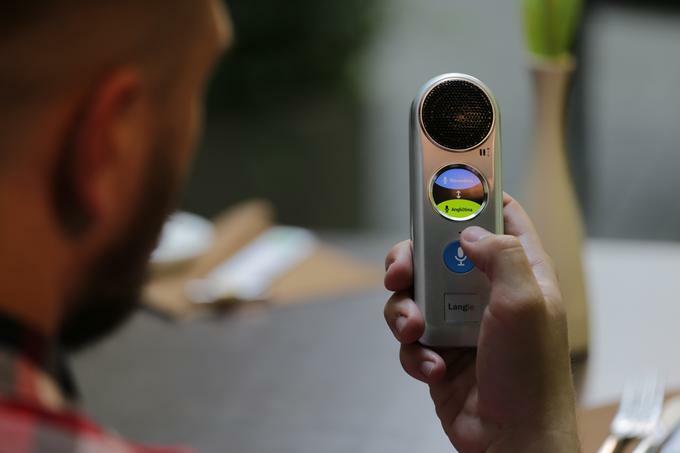 Press the second button, the stranger answers and the device instantly translates the foreign language into yours. It’s so simple and brilliant! 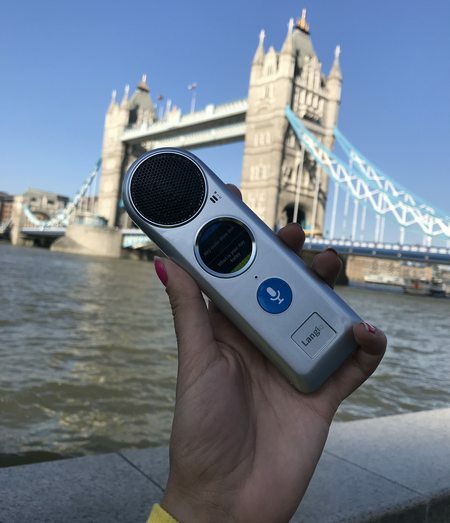 With this unique LANGIE translator, you can easily communicate everywhere! It’s an invaluable assistant in need, if you need health care or police help or you get lost and you can not find a way back. And the big advantage is that if you buy it, it’s just a one-time investment for you, that will return to you a hundred times as you save time and complications and you do not even have to learn 52 languages ​​of the world. The LANGIE will serve you all the time, just like that, simply… Without unnecessary stress of browsing in the dictionary, without showing your question to stranger displayed on the mobile screen, and even many times translated into the wrong shape and with mistakes that can cause misunderstanding or conflict. And best thing is, that this translator will not only help you, but will become a darling of the whole family if you buy this unique translator together as a group… And LANGIE will be a great helper for the whole family or your group of friends!